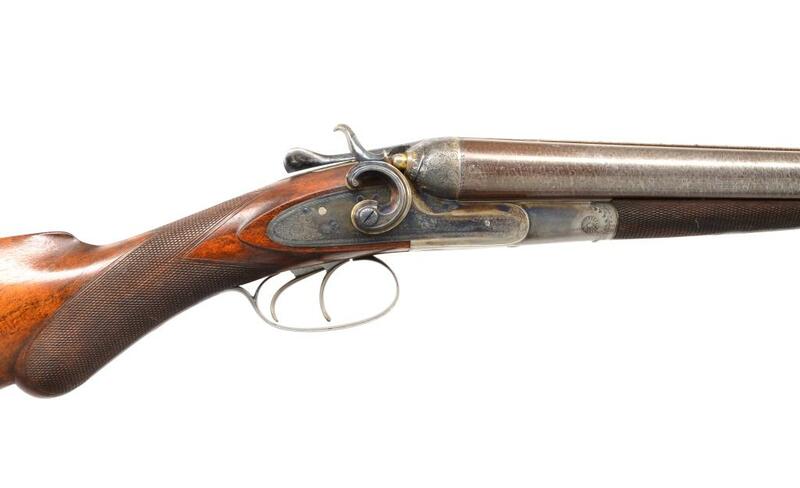 Here’s another nice double barrel shotgun coming up tomorrow, 3/8, @ Poulin’s auction. 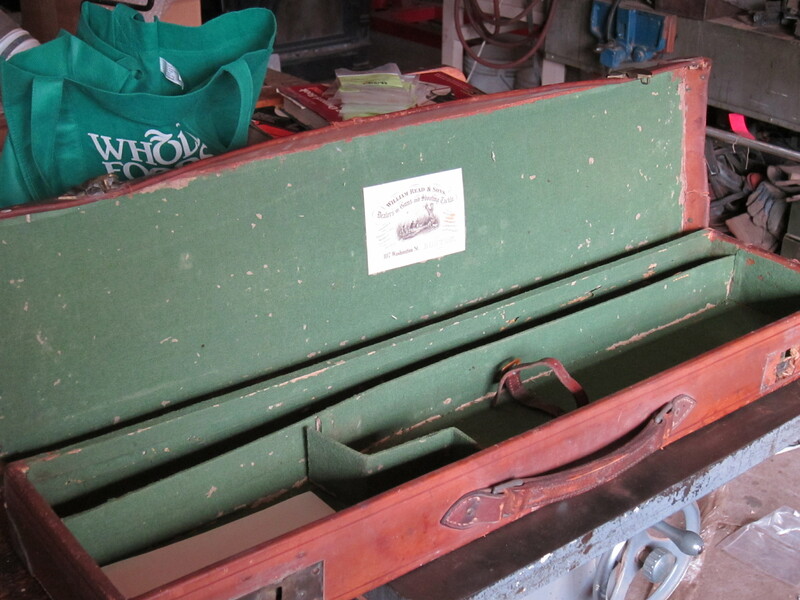 It’s a W. & C Scott, with a ton of original condition and — amazingly — its original hang tag and case. 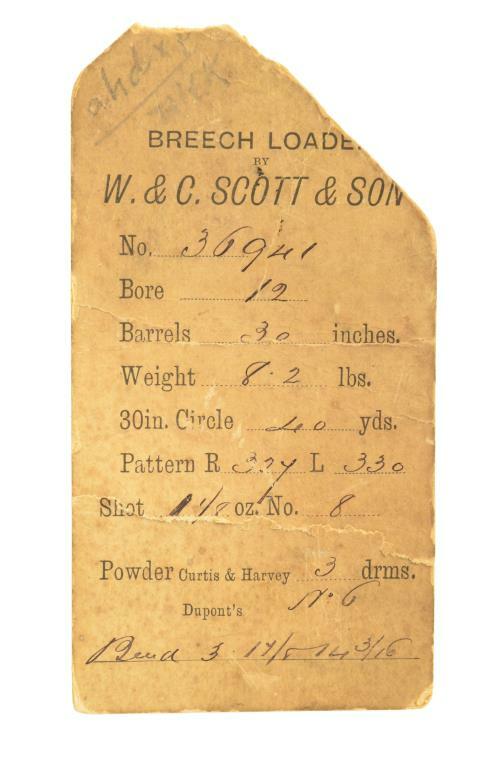 W. & C Scott was founded in 1840 by brothers William & Charles, and their company went on to become one of the most important gunmakers in the world. In 1897, the firm merged with P. Webley to form Webley & Scott. Up until around WW2, Webley & Scott was one of the largest gunmakers in the world. 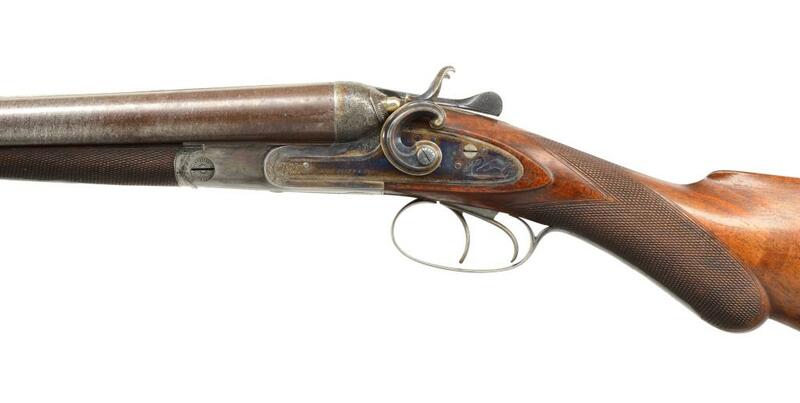 The side-by-side Scott you see here was made around 1885. It’s a mid-grade gun. Mid- and lower-grade doubles were usually used hard, so it’s incredible to see all the original color-case hardening, bbl brown, and oil finish. on this one. The gun is beautifully made, too. Just take a look through the pics at the bottom of this post to see what I mean. The fact that this gun also comes with its original, handwritten hang tag and case with the dealer’s label is another plus. 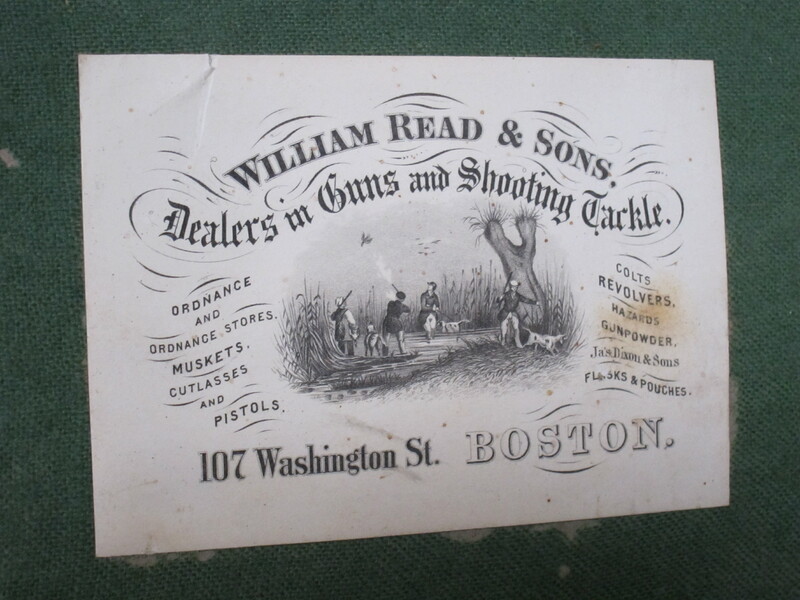 The gun was retailed by William Read & Son, Washington St, Boston, and I can’t believe both those items have made it through the last 129 years. W & C SCOTT SxS HAMMER SHOTGUN: Cal. 12 Ga., 2 1/2″. S# 36941. Bbls. 30″ Damascus steel. Fixed full & full chokes. Top rib marked “W&C Scott & Son. Makers & Patentees. London.” Case colored bar lock action with low style, rebounding circular hammers. Fine foliate scroll engraving featuring a swan on the left lock. Double triggers. Extractors. Splinter forend, with Scott-patent, pull down release lever. Round-knob stock of hand checkered fancy English walnut. LOP: 14 1/8″ over original checkered buttplate. DAC: 1 7/8″. DAH: 3 1/4″. Stock is cast off. Weight: 8 Lbs., 1 oz. Minimum wall thickness L. .040 & R. .040. Super good photography on this. Did you do it? Thanks. I took all the pics in the gallery — the section at the end where the images are stacked up. Got lucky with the lighting. Thanks for posting those vary nice photos.That is a super nice hammer gun.Do you know what it went for at action ? Thanks. I think it hammered down for $2750. With a 15% buyer’s premium on top of that — $3162.50 all in. Pretty good deal, considering the gun is as new and original as you’re going to find. Are you interested in hammerguns?